Google is part of Alphabet, which is a collection of companies (all the things that were previously just called Google). Google previously included a large number of seemingly unrelated projects, from a search engine to self-driving cars. Currently, Google, Inc. just includes the products related to Android, Google Search, YouTube, Google Ads, Google Apps, and Google Maps. 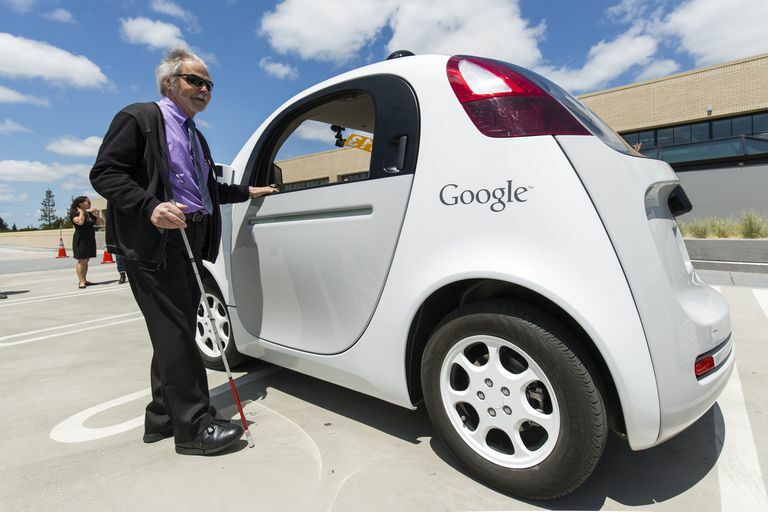 The self-driving cars, Google Fiber, and Nest the moved to separate companies under Alphabet. Larry Page and Sergey Brin collaborated at Stanford University on a search engine called Backrub. The name came from the search engine's use of backlinks to determine page relevance. This is a patented algorithm known as PageRank. Brin and Page left Stanford and founded Google, Inc. in September of 1998. Google was an instant hit, and by the year 2000, Google was the world's largest search engine. By 2001 it did something that eluded most of the dot.com business startups of the time. Google became profitable. Although most of Google's profit traditionally comes from Internet advertising revenue, the company also sells subscription services and business versions of apps like Gmail and Google Drive for companies that want an alternative to Microsoft Office tools through Google Apps for Work. Android is a free operating system, but device makers who want to take advantage of the full Google experience (Google apps like Gmail and access to the Google Play store) also pay a licensing fee. Google also profits from the sales of apps, books, music, and movies on Google Play. The Android operating system is one of the most popular smartphone operating systems. Android can also be used for other devices, such as tablets, smart TVs, and watches. Android OS is open source and free and can be modified by device makers. Google does license specific features, but some manufacturers (such as Amazon) bypass the Google elements and just use the free portion. Google has a reputation for a casual atmosphere. As one of the few successful dot.com startups, Google still retains many perks of that era, including free lunch and laundry for employees and parking lot roller hockey games. Google employees have been traditionally allowed to spend twenty percent of their time on projects of their choosing.